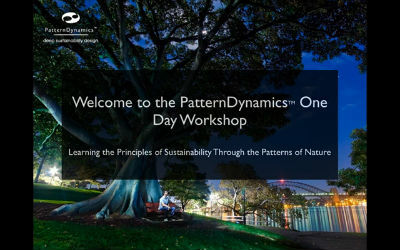 PatternDynamics (TM) – a tool developed by Permaculture pioneer Tim Winton, which takes the common patterns found in all natural systems, recognizing these patterns in human systems, and learning how to balance the ones that are skewed, and to integrate in the ones might add a greater level of enduring health. Tim Winton’s PatternDynamics (posted at Integral Leadership Review 4/01/14) by Alia Aurami, Laurel Johnson, Amanda Suutari – very insightful comments, probably better than the article I co-wrote below. Tim Winton’s PatternDynamics Workshops in USA and Canada (also posted at Integral Leadership Review, 3/14/2013) by David MacLeod, Alia Aurami, Trevor Malkinson, and Marilyn Hamilton.